The adult choir serves as the backbone of the music at St. John’s. It offers an opportunity to rehearse and perform great sacred choral music in an open, inviting, and meaningful liturgical atmosphere. Our choir enhances the worship of our church through hymn leadership, choral anthems, and special programs. Membership is comprised of people of diverse backgrounds, ages, and abilities who enjoy getting together on a weekly basis for great music, hard work, fun and fellowship. The adult choir provides the primary musical leadership for Sunday Holy Eucharist at 10:15 a.m. and other Holy Day services. Our repertoire draws from a broad range of musical periods and styles, including plainchant, 16th century anthems and motets, works of the great 18th and 19th century masters, as well as contemporary compositions. 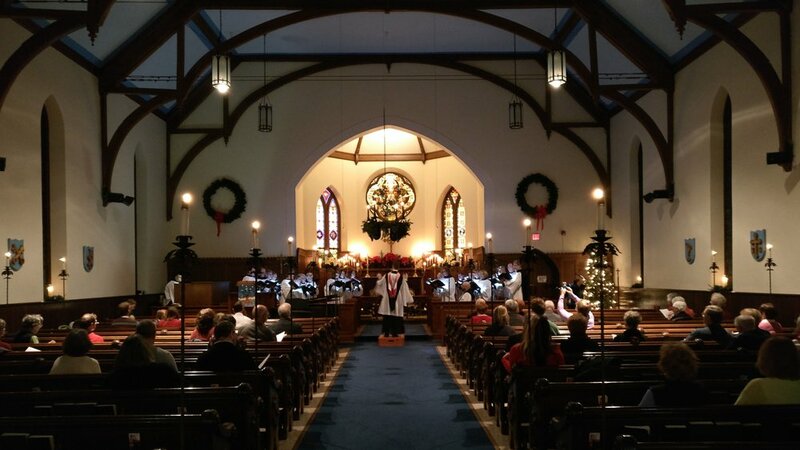 Throughout the year, the parish choir provides music for Evensong and other concerts, with a special offering taken to support a designated community service program. Rehearsals are held on Thursday evenings. To audition for the St. John's Choir or for more information, contact St. John's Director of Music, Michael Bennett, at 765.742.4079 or by EMAIL. The Music Committee is a group of parishioners who are interested in supporting the role and place of music as ministry in and of our congregation. The committee acts as a facilitator of the programs which bring the joy of music to our worship, adult programs, and shared fellowship. The committee helps with parish outreach through the offerings taken at Evensong services which highlight a community service program. This group of individuals also acts as a sounding board and resource for the Director of Music. The committee’s membership is open to any member of the parish, regardless of whether or not you are an active member of the music program. Check back here for additional information consult the Parish bulletin, newsletter,and website. All musical events are free of charge unless otherwise noted. Todd Wilson is the Head of the Organ Department at the Cleveland Institute of Music and Director of Music at Trinity Cathedral in Cleveland, Ohio. 10:15 a.m. Festive Eucharist for the Day of Resurrection with St. John’s Choir, brass quartet, and timpani. For more information about the Music Program at St. John’s, please contact Michael Bennett, our Director of Music, at 765.742.4079. 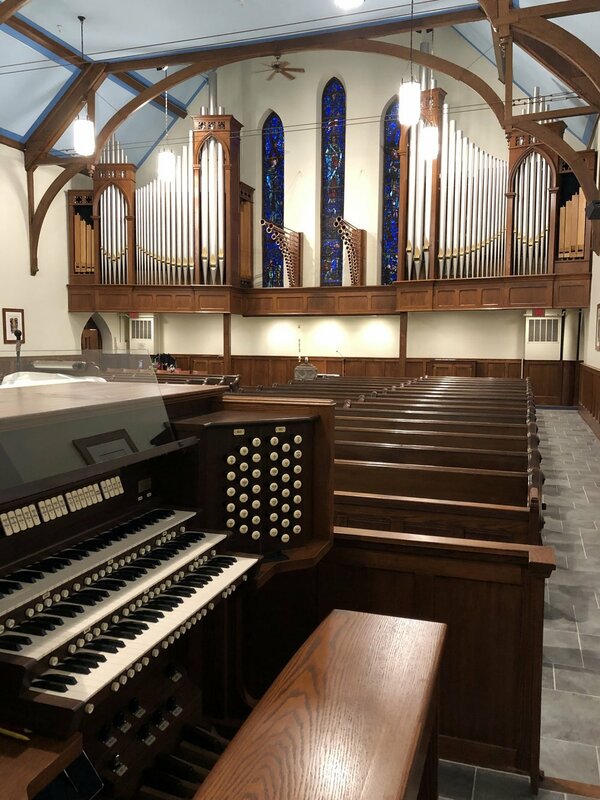 Click HERE for information about St. John's 2018 Quimby Organ.